SANDY SONDROL is a writer and underwater photographer who focuses on destination diving. He is also well known as a teacher of underwater photography, both in dive store weekend seminars and during sponsored dive trips. Sandy spent 10 years in Grand Cayman as a dive instructor and boat captain for Bob Soto's Diving and then 3 years working for Nekton Liveaboards. He later became the associate publisher of a well known U S dive magazine. Since 2007 Sandy has worked as a freelance writer and photographer. 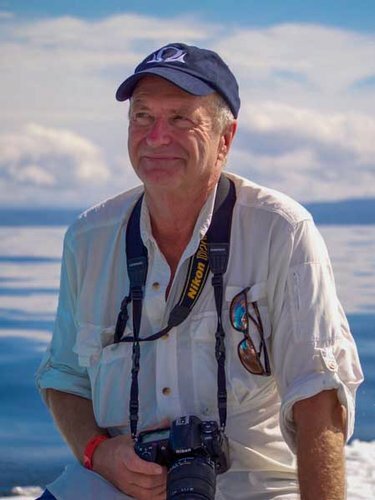 He has traveled, shot and written about: Sipadan, Malaysia, 5 trips to the Philippines, Komodo, Bali, Borneo and Maratua in Indonesia, Belize, Roatan, The Cayman Islands and the Red Sea/Egypt. He has also dived and traveled in the Bahamas, Mexico, Costa Rica, Palau, the Galapagos, the Dominican Republic, Curacao, South Florida, Texas and Minnesota. He is a scuba instructor and also holds a U S 500 ton vessel captain's license. He has flown countless air miles and logged nearly 7,000 dives, photographing and writing about diving in over 40 dive destinations world wide. His numerous photos and articles have been published in Alert Diver, Sport Diver, Scuba Diving and the Dive News Group.